This follows on after lower than expected sales for the S9 and Note 9. Neither wer ebad handsets, but the S8 and Note 8 were such good devices, that the S9 and Note 9 didn’t offer much improvement over the fanatstic design and camera. Their plight was worsened by Huawei’s increasing market share and duo of award winning – and crowd pleasing – flaships (the P20 Pro and Mate 20 Pro). Huawei’s determinitaion to usurp Samsung as the number 1 handset manufacturer in the world, was made even more clear when the Chinese company copied the hole-punch display on the Samsung Galaxy A8s in their Nova 4 and announced their own plans to release a foldable phone. All of these, and the declining demand for high-end smartphones, mean that the S10 range (and the foldable phone and the Note 10) are incredibly important devices for the South Korean giant. If Samsung wants to remain king of the smartphone hill, they need these new handsets to sell. 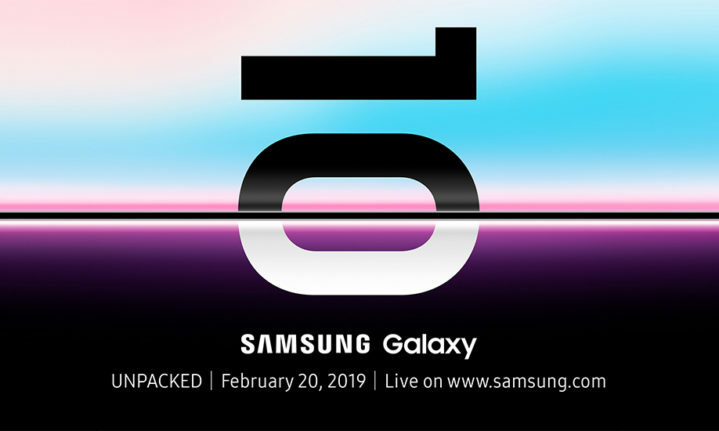 The company has just confirmed rumours that the Galaxy S10 will be unveiled 20 February 2019. According to Android Authority, Samsung is expected to have launches in both San Francisco and London. Further rumours state that the company will be launching three devices: the S10 Lite, S10 and S10 Plus. Al three devices are expected to have a hole-punch display, as well as possibly an under-glass fingerprint scanner, however the number of cameras on the back of each device could differ. Will the S10 be enough to ease Samsung’s woes? We’ll find out in just over a month. Would you buy the Galaxy S10?